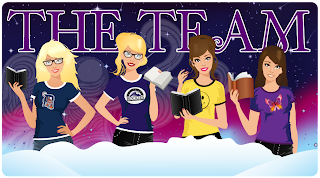 WinterHaven Books: Authors ARE Rock Stars Tour Stop! 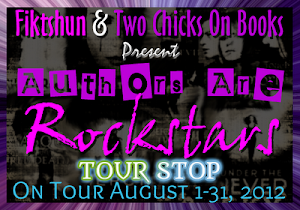 Authors ARE Rock Stars Tour Stop! Sarah Beth Durst is one of my all time favorites YA authors! She is fearless when it comes to writing, taking her readers on an adventure like no other. I can always count on losing myself within her pages. 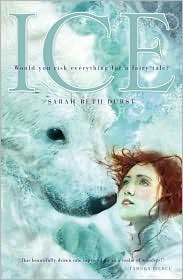 Her book Ice is a magical fairy tale that has become an annual must read every winter sipping on hot co-co. 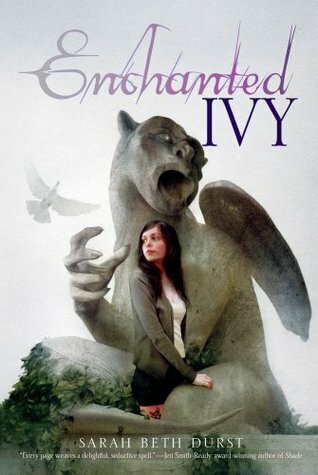 Her book Enchanted Ivy is a fun filled fantasy that has the most wicked imagination and colorful characters. I'll never stop hoping for a sequel. 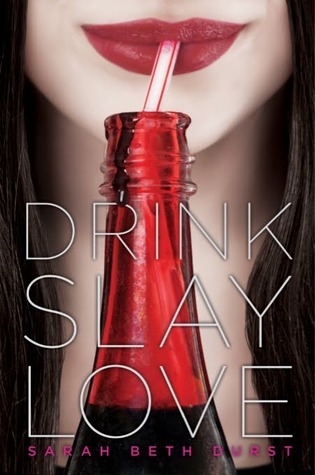 Drink, Slay, Love is about a Vampire who grows a conscience after being stabbed by a unicorn's horn. Need I say more? It's unique and witty and so much fun. 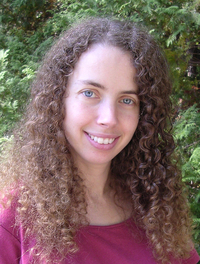 All of Sarah's stories are filled with fascination, creativity and dedication to detail. You can feel her heart and soul in every word she writes and every world we get introduced too. I can't wait to see how Sarah tackles mythology in her next novel; Vessel and I'm so excited to to see how she shines in her new adult trilogy; The Lost, The Missing and The Found. Yes! Sarah Beth Durst, you my friend are a Rockstar!! We are so excited to have Sarah on the blog today as part of the Authors ARE Rock Stars blog tour!! She was gracious enough to answer a few of our questions =) Take a look! Q. We think authors are amazing. You are our rockstars. 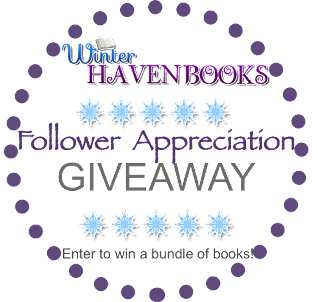 Do you have an author or authors that you look up to or are inspired or amazed by? Yes, absolutely! My rockstars are the authors who, when I was ten years old, made me say, "I want to do this. I want to be a writer." They include Tamora Pierce, Diana Wynne Jones, Charles de Lint, Robin McKinley, Anne McCaffrey, and Mercedes Lackey. Q. You mention that you decided to become a writer at the age of ten. Clearly it was the right decision and at such a young age! What inspired you to become a writer back then? And what was the first story you’ve ever written about? Okay, I know this sounds cheesy, but I think that being a writer is the closest you can get in this world to being a wizard. Books are magic. They have the power to transport you into another world, to make you care about people who don't exist, to make you laugh and cry and feel and think... I knew from age ten that I wanted to be a part of making that magic. Q. What is your favorite part about being a writer? Is it creating the characters or world? Is it being able to get lost in your imagination? Or is it something else? I love the feeling of being lost in a story, when words flow one after another to shape a scene that surprises me as it appears. And I love revising scenes, taking the raw shape of the action and imbuing it with details that paint pictures. But more than that... I need to write. It affects my worldview in a serious way. If I've written, I'm happy. If I haven't, I'm not. So it almost doesn't matter if I like a part of the process or don't. I have to do it. Q. Your earlier books were written for a middle grade audience, you progressed to young adult, and in addition to three YA titles soon to be released, you have three upcoming titles aimed at an adult audience. What do you like most about writing for each? Which audience do you find it easier to write for? And will you continue to write books for both YA and MG or is the move toward adult titles a permanent one? I love writing fantasy. I love creating a story that couldn't ever happen and taking readers on a journey into the impossible. Some of those journeys call for a younger protagonist; some call for an older one. I actually try hard not to think about the audience as I write. I think about what works for the story and its characters. I am planning to continue to write YA, MG, and adult novels. I have lots more stories to tell for many more characters! Q. While your books all seem to have an element of fantasy, their settings, storylines and characters seem to vary widely. What do you enjoy most about having such different characters and worlds in your books? What do you find most challenging about building worlds that are so different from the ones you’ve created before? What has been your favorite world to create? I love bringing magic to the real world (like I did in INTO THE WILD, ENCHANTED IVY, and DRINK SLAY LOVE) -- I was the kind of kid that would always check the closet for an entrance to Narnia. I love traveling to a part of the world that I'll most likely never see in real life (like in ICE, which is set in the Arctic) -- I'm a lousy traveler who always overpacks and doesn't like to be too cold or too hot. I love creating a world from scratch (like I did with my upcoming novel VESSEL) -- it's like the writing equivalent of the X Games. Extreme creation. You're not only inventing characters and a story but everything around them down to the very soil. Q. Your most recently published novel DRINK SLAY LOVE included elements of fantasy – unicorns – but leaned more toward the paranormal – vampires. How did you come up with the idea of writing a story that combined both? It was also a mix of serious and humorous. Had you always planned on adding as much of the sarcastic, funny and lighter elements to the story? One day, I was sitting around thinking about unicorns... You know, like everybody does... And I thought, "Hey, unicorns are natural vampire hunters. Built-in stakes!" And I just had to write the story. Q. What was your favorite part about writing a main character like Pearl Sange? And do you plan on keeping her character “alive” for a sequel down the road? Q. 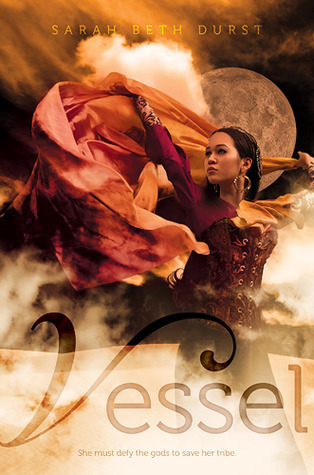 The description about your upcoming novel, VESSEL makes it sound very much like an epic fantasy novel. In ten words or less how would you describe it to potential readers? A trickster god, a young emperor, and a girl destined for sacrifice. As you surmised, it is an epic fantasy novel. Using a few more words... In a desert land where serpents made of unbreakable glass fly through the sky and wolves made of only sand hunt within storms, Liyana is destined to be a vessel, to sacrifice herself so her clan's goddess can inhabit her body... but her goddess never comes. Both. But if it's a series, no cliffhangers! Fairy tales: Disney or Grimm? Epic fantasy or Urban fantasy? Both. So long as it has a girl and a sword, girl and dragon, girl and werewolf, or girl and talking cat, I'm happy. It doesn't matter whether it's this world or somewhere else. Young Adult or Middle Grade? 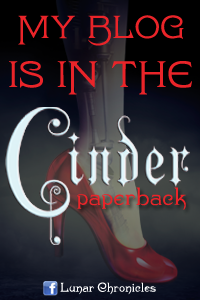 Happily ever after or happily never after? Write by moonlight or write in sunlight? Wonder Woman or Unicorn Princess? Before I decided to be a writer, I wanted to be Wonder Woman when I grew up. Now, I'm less enamored with her magic powers. A lasso, really? And I'd totally lose the invisible jet. So I think I'd choose Unicorn Princess. Fire-breathing dragons or talking gargoyles? Prince Charming or Prince of Darkness? Prince Charming. I always want the nice guy to win. That was so much fun!! Thank you Sarah for stopping by!! Thank you so much for being a part of this tour! Sarah Beth Durst is so awesome and I love your write-up on why she's a rockstar to you. I totally agree that as a reader she takes you on an adventure. And I can't wait to read Vessel too! Fun interview! Thank you! And ugh I still need to read Drink Slay Love! Great interview, I haven't read any of Sarah's books yet but I am really looking forward to them now. Thanks for being a tour stop, you rock!! I admit thus far I've only read Drink, Slay, Love, but that alone made her a rock star for me! Can't wait to read more of her books!